The problem of discharging from a sealed or unvented water system without allowing a reflux of odour and bacteria into the building is an old one — but it isn’t going to get any older! Dubbed as ‘The Tundish Evolved’, hotun and hotun hiflo go beyond anything in this category that you have ever seen before. Yes, we are getting excited about tundishes — the hotun and hotun hiflo really are that good! You can now purchase the hotun and hotun hiflo from HECAS, at one of the most attractive prices on the market. 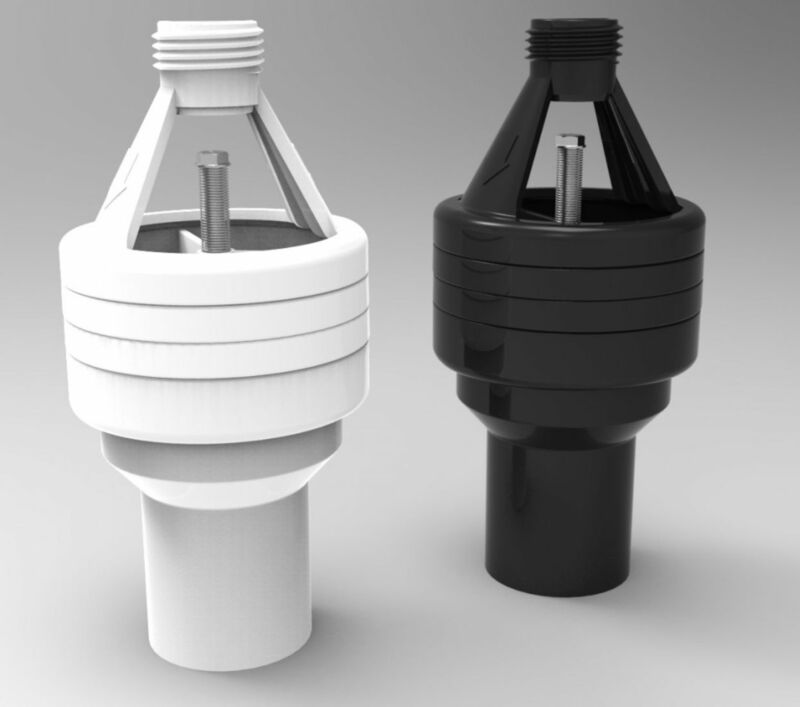 Choose from black or White to get that perfect aesthetic and be amazed by the form and function of hotun technology! Need more information and advice on using the hotun system to get the best from YOUR boiler? Call our experts TODAY or chat with us live online for the clearest, most competent support. HECAS — for the widest choice and the warmest homes.